July 25, 2018, 9:26 a.m.
By Shan Wang @shansquared July 25, 2018, 9:26 a.m.
What is gas (not that kind)? What is a “hot” wallet versus a “cold” wallet? When purchasing a token, what do you care most about? Are you leveraging a home equity line to purchase Civil tokens? 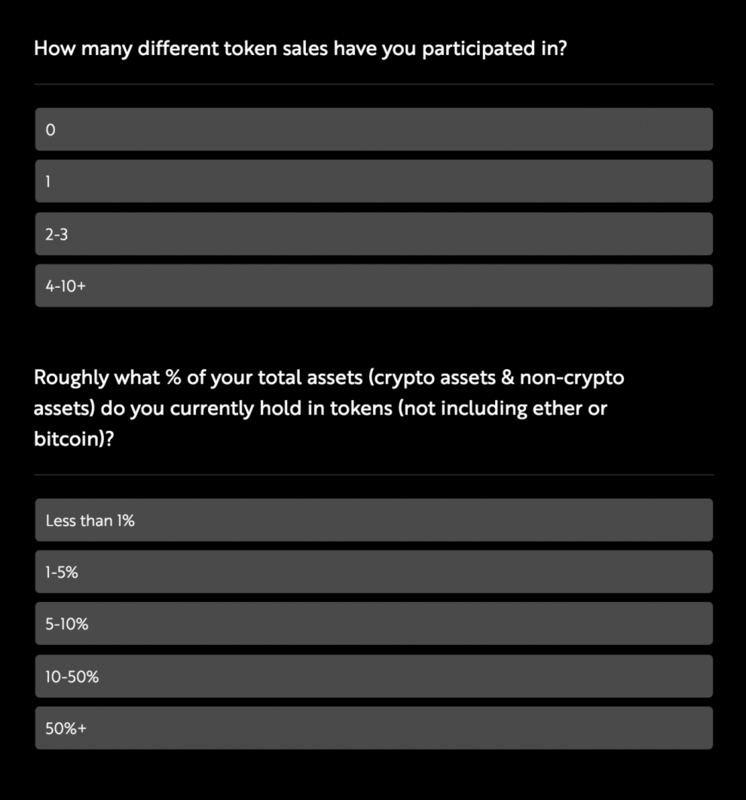 What percent of your total assets (crypto and non-crypto) are in tokens (not including ether or bitcoin)? If you were at all considering investing in cryptocurrency to support the many newsrooms that have partnered with the blockchain journalism startup Civil, and if you want to participate in Civil’s democratic and convoluted governing structure, you’ll need to be able to answer these, and other vetting questions, to token-buying platform Token Foundry’s satisfaction. I failed the quiz and got directed to the mega-explainer “30 Things To Know Before Your First Token Sale,” which includes links to whitepapers and will remain open in a tab in my browser until the end of time. Twenty-four hours later, I was emailed an offer to retake the quiz. My editors Joshua Benton and Laura Hazard Owen failed the quiz, too. So did Manoush Zomorodi, a cofounder of one of the new Civil-backed media projects, ZigZag, which is currently documenting, in Startup podcast fashion, the trials and tribulations of its own founding. Civil’s cryptocurrency is currently scheduled to open to the public on August 13. 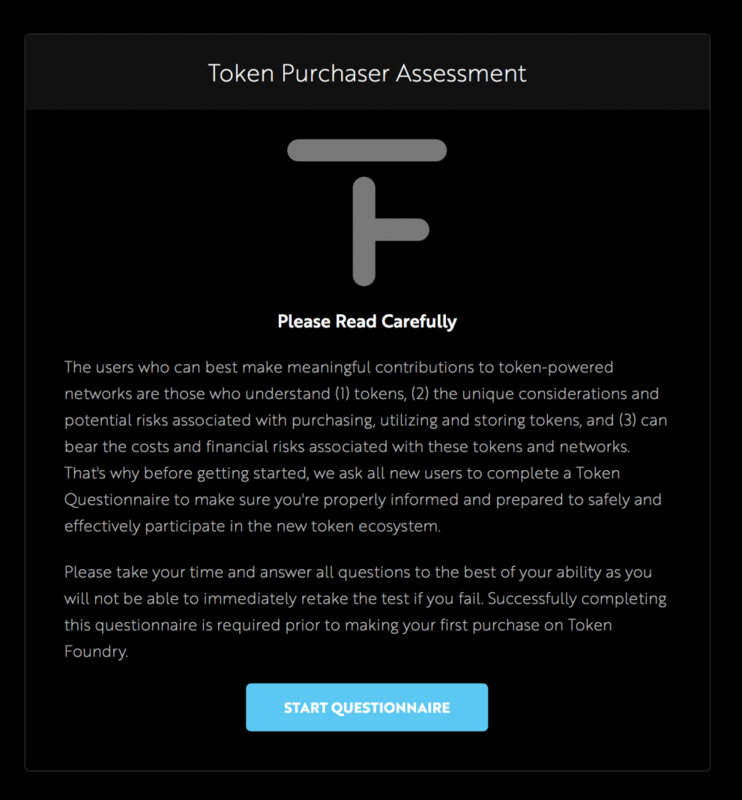 Token Foundry is the marketplace handling the sale. Step 1: Through the public sale, people buy CVL tokens, and use them eventually to do things like financially support newsrooms within the Civil ecosystem, which include the likes of DNAInfo descendent Block Club Chicago and the Maria Bustillos-led news and politics site Popula. Step 3: PROFIT, plus a harmonious, well-governed network of good-willed stakeholders, and many, many more independent publications using the Civil platform. Civil plans to sell an upper limit of $32 million worth of its currency (at a maximum of $0.94 per token). But how big is the middle of this Venn diagram, of people very interested in specific areas of news coverage and specific newsrooms and reporters, and people very interested in blockchain and cryptocurrency? On the one hand, sure, trying to weed out wild speculators and random people with some money to blow is probably reasonable. (Although, if someone wants to buy CVL tokens, is knowledgeable about crypto stuff, passes Token Foundry’s test, and is betting their house and life savings on it, who’s to stop them?) On the other hand, are there enough of the first-time crypto-curious who’re willing to put up with these barriers to entry? The first thing you have to go is civil.co/cvl. 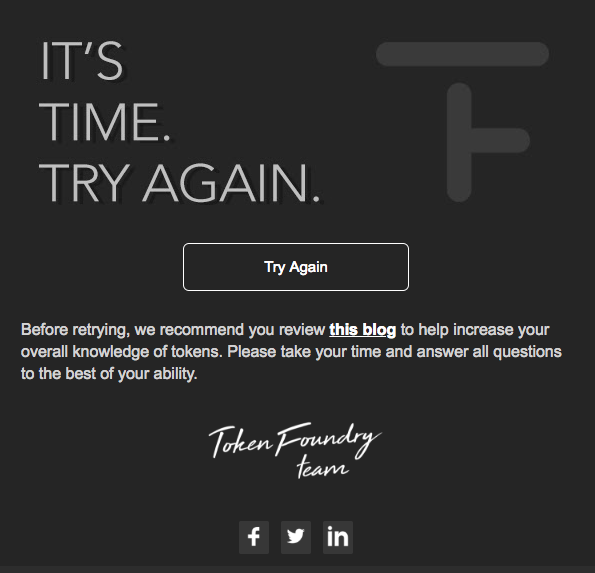 Then you get an email that then sends you to Token Foundry, and Token Foundry is another — jeez, are you still there? Hello? — marketplace for tokens, and they run the sale essentially. 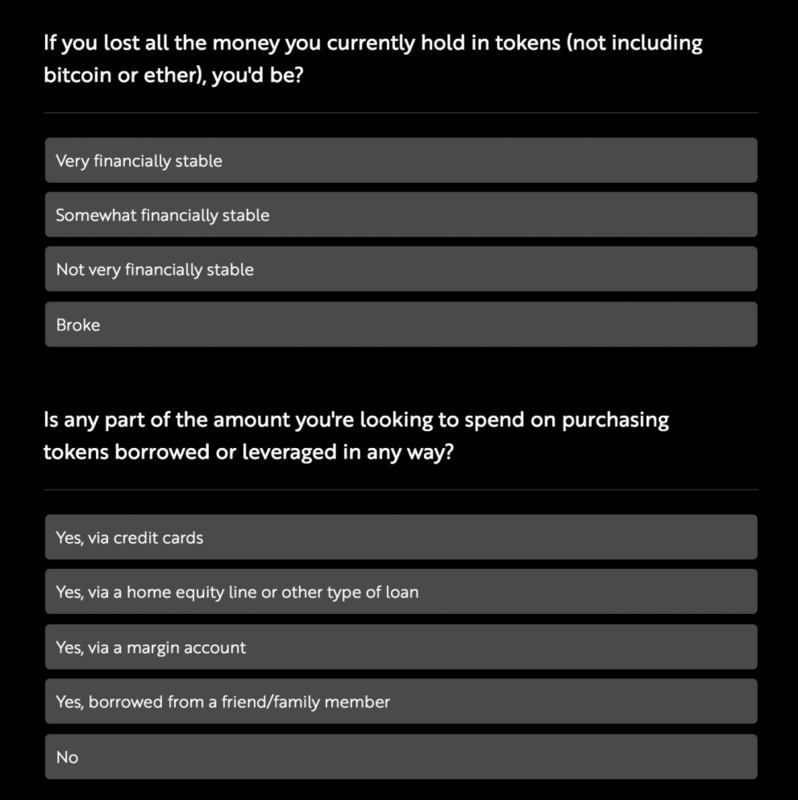 Then you have to sign up with Token Foundry, then you have to fill out a questionnaire, so that they know you aren’t going to spend your life savings. They make sure you aren’t going to bet your house on CVL tokens; it’s a consumer protection thing. 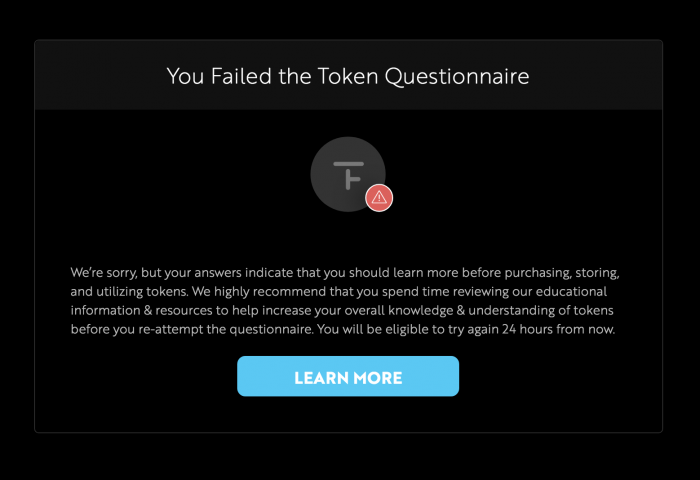 The other thing is that you have to take a test so that they can be totally sure you are there to support the journalism, and also that you understand the mechanics of tokens, and I…failed the frickin’ test. — Starting next week, we’ll be hosting regular webinars that share important context about what CVL tokens do, and key considerations you need to take to responsibly purchase and store it (e.g., having a hardware wallet, setting up a unique address to send/receive transactions). Beginning the week after next, we’ll be hosting multiple webinars a day to ensure we can reach as many people as possible (we’ll also be posting recordings on our website). You’ll be able to see the schedule/sign up at civil.co starting next Monday. 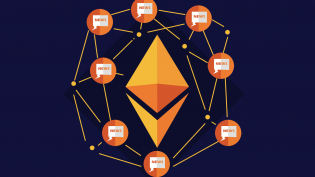 — We’d be naive to think “great customer support” for the token sale would in of itself be a sufficient way to build a truly decentralized network. Beyond the public sale, in which 34 million CVL tokens will be available, we’ll be announcing a series of partnerships with mission-aligned journalism / media organizations. We see these partners as another critical way to help distribute our tokens to those who care about participating in our governance model, and ensuring that Civil is the anti-Facebook as it relates to how we as a platform set and enforce a responsible/ethical journalism policy. You can see our initial partners at civil.co/about (scroll below the fold); we’ve got a number of additional partnerships with some extremely well known media organizations we’ll be announcing in the coming weeks that will also help serve this ideal. — Another manner by which we’ll seek to bring additional users into the CVL network is via subscription rewards and referral programs based on activity with individual Civil newsrooms. We may, for example, grant CVL tokens to the first 100 people to subscribe to a given newsroom (and maybe it’s for those who commit to an annual vs. monthly, for instance) as an added incentive for joining — and a means to help incentivize newsroom sustainability. — We’re also planning several additional initiatives in which we grant CVL tokens to worthy newsroom applicants. There’s our First Fleet initiative — the 13 initial newsrooms to form on Civil — as well as a partnership / grant program we’ve announced with the European Journalism Centre. We’re planning several additional initiatives to be announced in the coming weeks — one specifically focused on Asia, and one taking a broader focus. POSTED July 25, 2018, 9:26 a.m.
Wang, Shan. "Want to support journalism with cryptocurrency on Civil? First you must pass this really hard quiz." Nieman Journalism Lab. Nieman Foundation for Journalism at Harvard, 25 Jul. 2018. Web. 18 Apr. 2019. Wang, Shan. "Want to support journalism with cryptocurrency on Civil? First you must pass this really hard quiz." Nieman Journalism Lab. Last modified July 25, 2018. 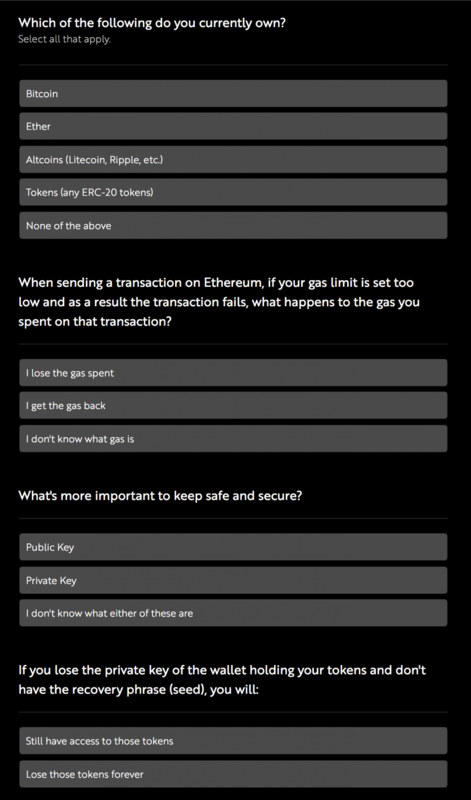 Accessed April 18, 2019. https://www.niemanlab.org/2018/07/want-to-support-journalism-with-cryptocurrency-on-civil-first-you-must-pass-this-really-hard-quiz/.